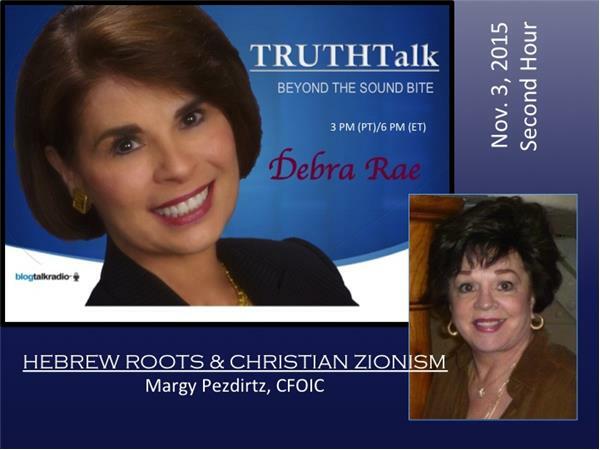 For over two decades, Pastor Margy Pezdirtz has been a leader in the Christian Zionest Movement. 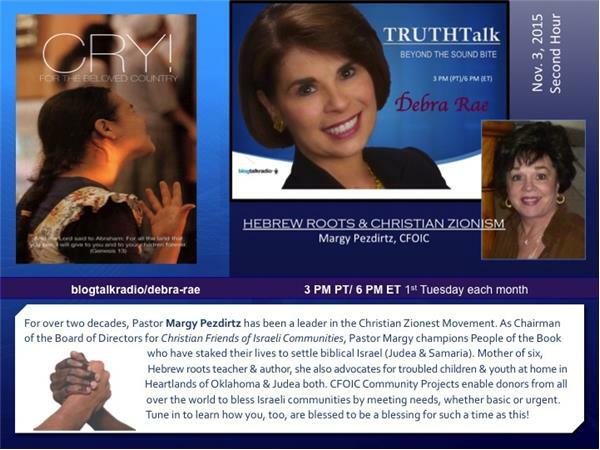 As Chairman of the Board of Directors for Christian Friends of Israeli Communities, Margy champions People of the Book who have staked their lives to settle biblical Israel (Judea & Samaria). Mother of six, Hebrew roots teacher & author, she also advocates for troubled children & youth at home in Heartlands of Oklahoma & Judea both. CFOIC Community Projects enable donors from all over the world to bless Israeli communities by meeting needs, whether basic or urgent. Tune in to learn how you, too, are blessed to be a blessing for such a time as this!